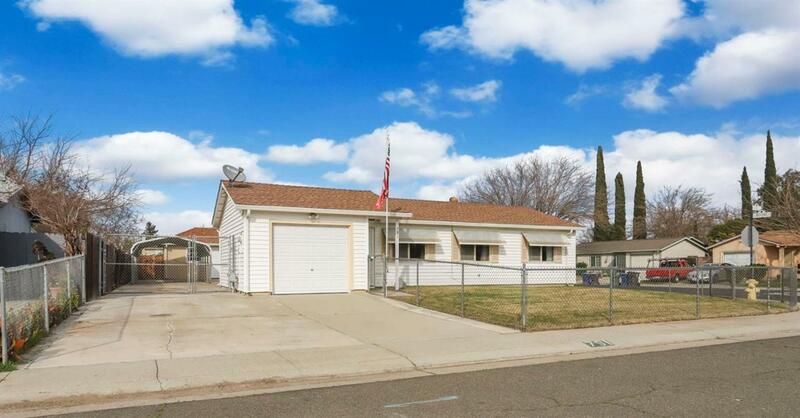 Adorable home listed in a great neighborhood of Lathrop. This charming property boasts 3 bedrooms, 2 full bathrooms and is on a corner lot. This clean home features dual pane windows, ceiling fans, inside laundry and central heat and air. The yard has a spacious covered patio, new sod in the back, long driveway for additional parking and RV or boat access. Be sure not to miss the sizable workshop that has many uses and possible side access. This well maintained home won't last long!